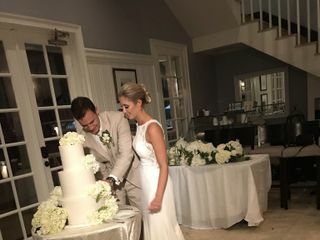 A wedding cleaning specialist in Jacksonville, Florida, Oceanside Cleaners provides meticulous care of your wedding attire before, during and after your big day. 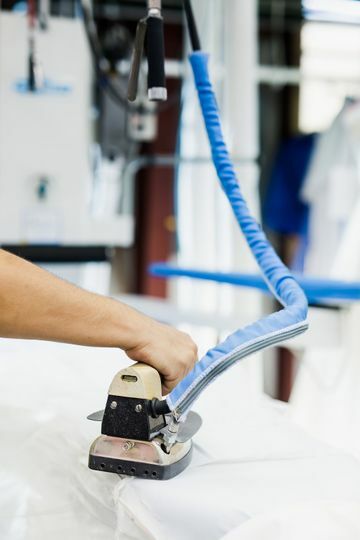 Proudly serving the Jacksonville community for over 25 years, the company is family-owned and operated. 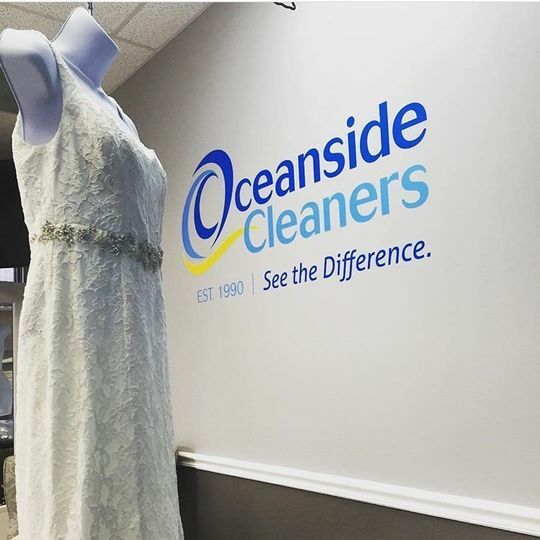 Going the extra mile to meet the needs of its customers, Oceanside Cleaners is the perfect choice for caring for your wedding attire! Absolutely LOVE Oceanside Cleaners. 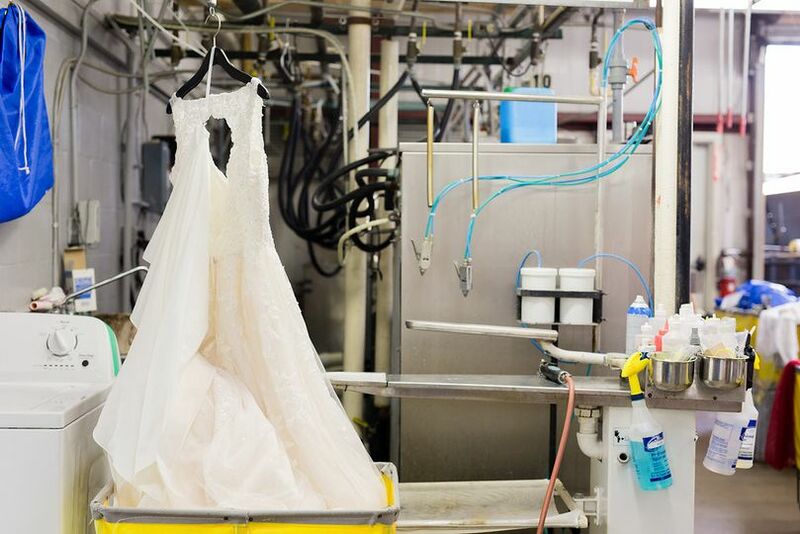 Clare and the entire staff went above and beyond to make sure my dress was cleaned and preserved perfectly. 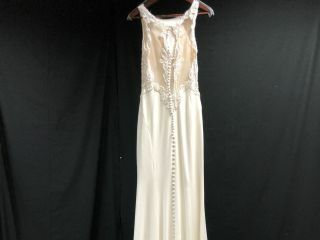 My dress had been previously taken to another cleaner (The Cleaners located on Penman Road) where they used incorrect solutions on the silk shantung fabric which caused yellowing in multiple large areas of the gown. Oceanside worked on my gown and got it looking perfectly again. 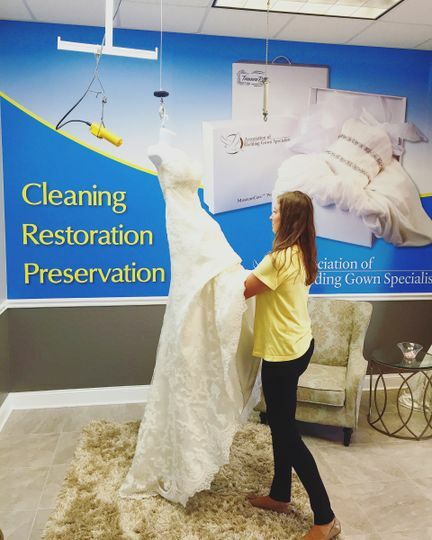 They kept me in the loop and showed me the progress of my gown throughout the cleaning process. 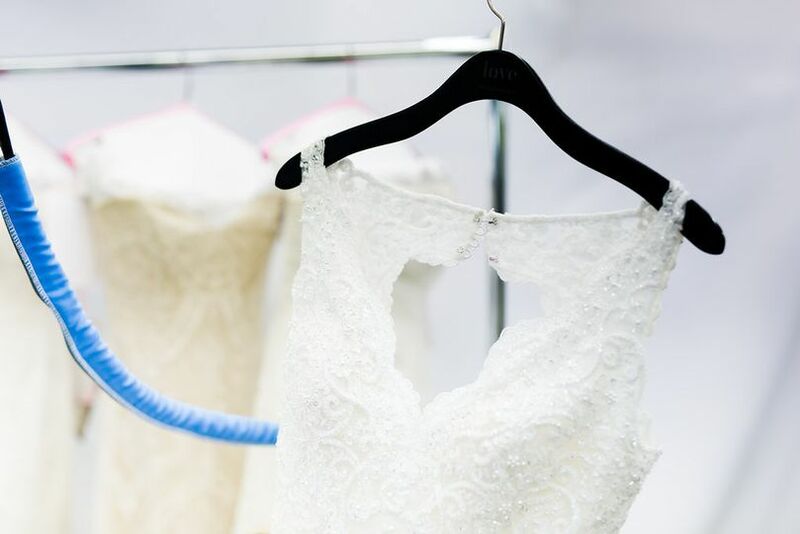 Their facility is state of the art and they really do a wonderful job at showing you they care about your dress. I will definitely recommend them to friends getting married and any bride to use in the future! So happy they were able to fix my gown and preserve it correctly for me. Thank you for everything! WOW – absolutely AMAZING! Clare was a dream to work with! 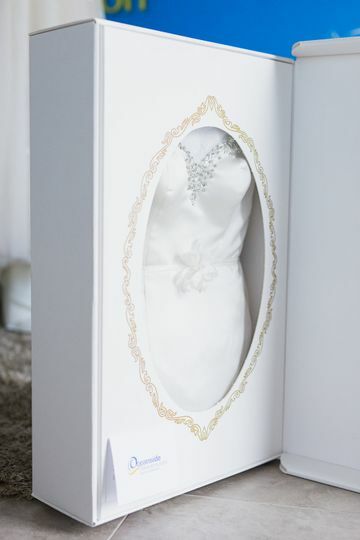 After my wedding, I was convinced my dress was trashed. We had an outdoor ceremony and some of our reception, including our dance floor was outdoors. The bottom of my perfect ivory dress was covered in dirt and has some red wine stains. While part of me didn’t even want to attempt to have the dress cleaned, I knew it was so important to me. 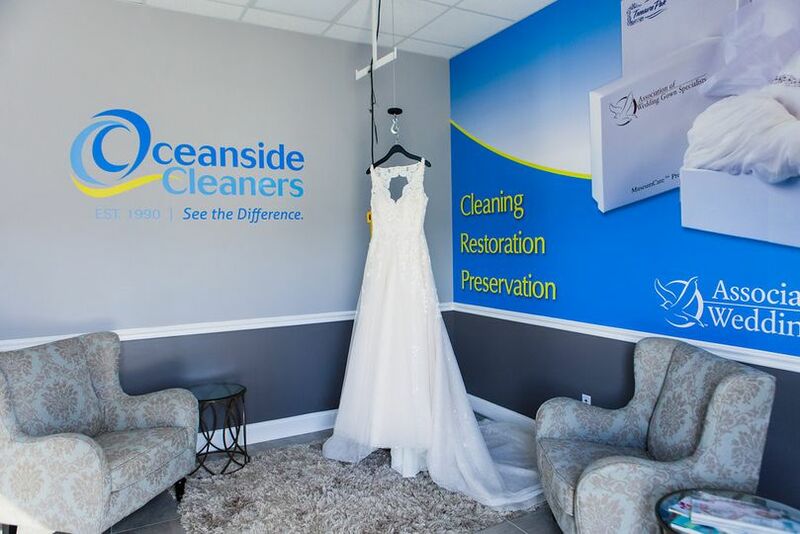 I immediately thought of Oceanside cleaners for my wedding dress, as they saved some of my favorite paints, from yet again red wine stains a year or so ago! ;) I got connected with their wedding specialist, Clare, and instantly hit it off with her via email (and phone calls). But the emailing says a lot about her, because it is not always easy to communicate with people via email! She was amazing and so attentive. She kept me up to date through the process from the initial inspection and quote to the completion of the work. This included photos of my dress before and after. My dress was spotless by the time she and her team worked their magic. It literally looked like the day I picked it up from the bridal shop. I chose to preserve my dress and the presentation is beautiful. I shared my photos of the dress on my Instagram account and friends were FLOORED! 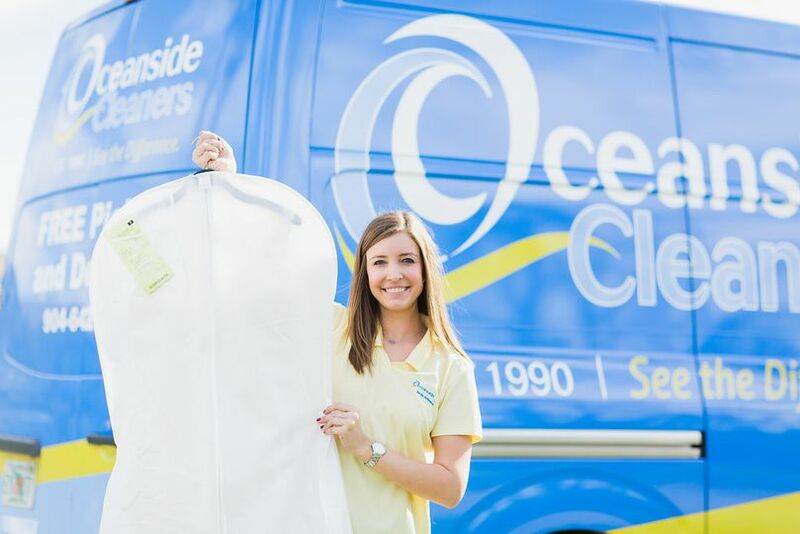 Do yourself a favor and contact Clare and Oceanside Cleaners for your dress cleaning and/or preservation! It is worth every penny and you will not be sorry!! Incredible service...from customer service to the quality of the service itself. 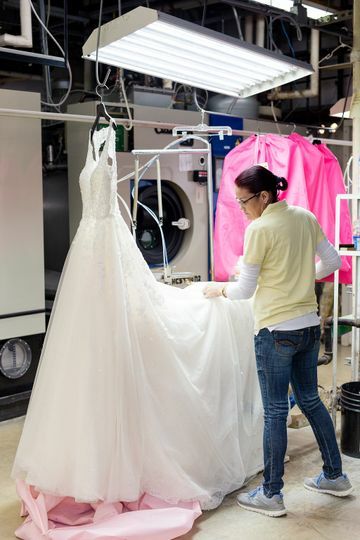 I brought in my wedding gown to be pressed and cleaned a few days before the wedding. My dress had some serious stains and creases from the alterations shop I took it to ( not at Oceanside). I walked in the door and Claire welcomed me with a big smile. She immediately called one of their gown specialist to take a look at the dress. Not only did I receive IMMEDIATE attention but also an honest one. They could have easily taken my gown and did "their best" and charged me for it, but instead the specialist told me upfront the realistic expectation. These girls were the BEST and that is an understatement.